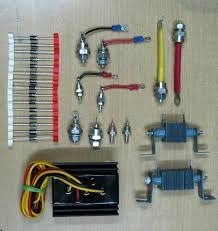 We are Dealing cummins,kirloskar,cat,bliss,leyland,Greaves,MWM,mahindra,etc , Generators engine and alternator spare parts manufacturer, exporter, importer, retailer, dealers. For both AREP&PMG excitation systems,the alternator voltage regulator is the R438.With AREP excitation,the R438 electronic AVR is powered by two auxiliary winding which are independent of the voltage match circuit. The first winding has a voltage in proportion to that of the alternator,the second have a voltage in proportion to the stator current. 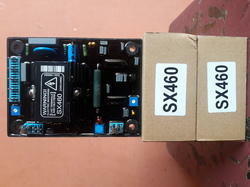 The power supply voltage is rectified and filtered before being used by the AVR monitoring transistor. This consists of a "PMG"(permanent generator).This is fitted at the rear of the machinge and connected to the R438 AVR.The PMG supplies the AVR with constant voltage which is independent of the main alternator winding. As a result the machine has a short-circuit current capacity and good immunity to distrotions generated by the load.The AVR monitors and corrects the alternator output voltage by adjusting the exitation current.50/60Hz selection via the ST3 jumper. 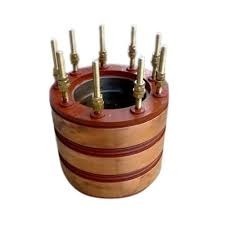 Having years of expertise and skills in domain, we are providing an extensive range of Generator Alternator Power Thyristor. The Generator Alternator Power Thyristor, we offer are used in power generating systems and reliable too. 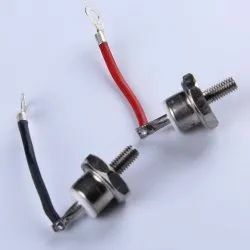 Our offered Generator Alternator Power Thyristor are highly demanded in the market for their effectiveness. In our wide range of products, we are best in supplying best and authentic quality array of Slip Ring. 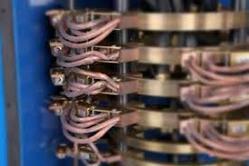 These slip rings are produced and created assistance of raw materials machines and tools. 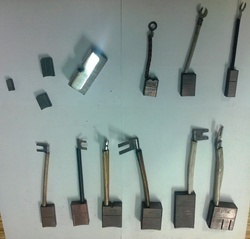 They are metal finished and created with best quality techniques and skills. 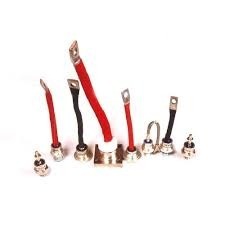 We are one of the trusted names in the market to offer a highly durable range of Kirloskar Diodes. It is a two-terminal electronic component with asymmetric conductance; it has low (ideally zero) resistance to current in one direction, and high (ideally infinite) resistance in the other. The most common function of a diode is to allow an electric current to pass in one direction (called the diode's forward direction) while blocking current in the opposite direction (the reverse direction). With our rich industry experience, we have established ourselves to offer a wide array of Orex MS Unit. 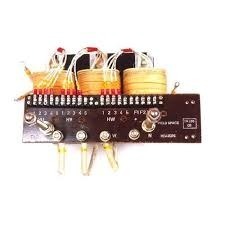 This unit is advanced microprocessor based electrotherapy equipment. It is versatile 3 in 1 product of I.F.T. + M.S. + T.E.N.S multifunction stimulation. It has LCD screen display which shows current in 2 channels, mode of operation, program number and treatment time. It has soft touch membrane key Board for easy operation. Compact and light weight makes the unit portable. With the aim of delivering qualitative products, we are engaged in offering our clients with an excellent quality Terminals. 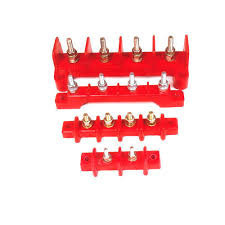 These products are made using steel, ferrous oxide, etc and they are used in a range of industries such as construction industries for various applications. 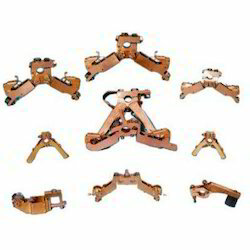 An actuating part having a projecting pusher end is arranged in the box spring and can be displaced toward the terminal end of the terminal leg. When pushed in, the actuating part with its inside end is pushed as a wedge between the abutment and the terminal leg, thus releasing a clamped electric conductor. 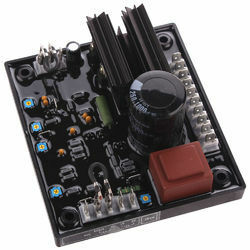 We are engaged in offering the wide range of Rotor Rectifier Assembly to our valuable customers. 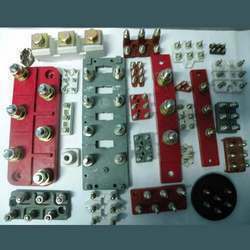 Looking for Generator Set Parts ?